A great way to get to Muckross Abbey Killarney is by the trail/pathway which starts at Flesk Bridge on the Muckross Road and continues past the entrance to the Lake Hotel and continues into the National Park. It is a fantastic walk you can cycle or take a Traditional Jaunting Car. Muckross Abbey Killarney is one of the major ecclesiastical sites found in the Killarney National Park, County Kerry, Republic of Ireland. 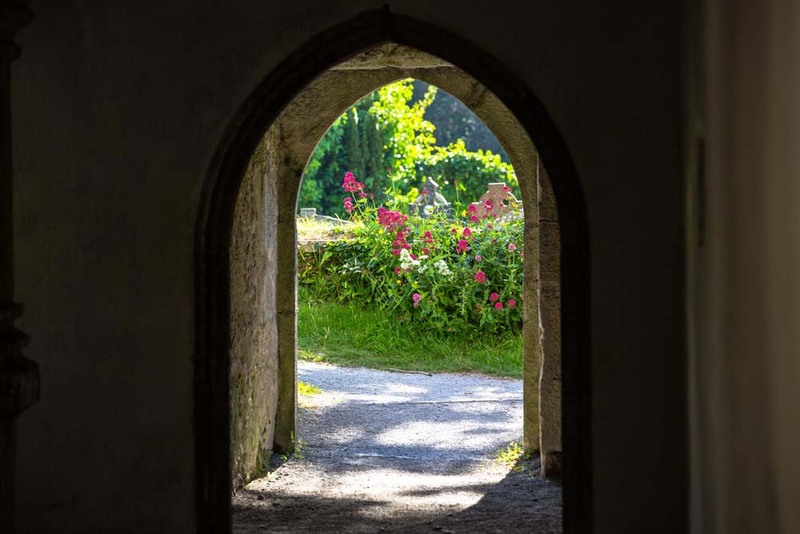 It was founded in 1448 as a Franciscan friary for the Observantine Franciscans by Donal McCarthy Mor. It has had a violent history and has been damaged and reconstructed many times. 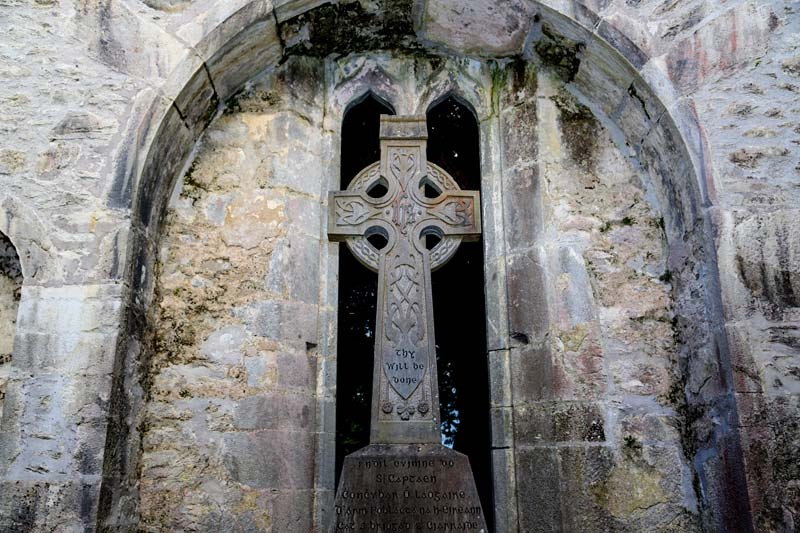 The friars were often persecuted and subjected to raids by marauding groups. Today the abbey is largely roofless although, apart from this, is generally quite well preserved. Its most striking feature is a central courtyard, which contains a large yew tree and is surrounded by a vaulted cloister. Some say that the Yew tree is the oldest living thing in Ireland at over 500 years? Ground plan of Muckross AbbeyIn the 17th and 18th centuries, it became the burial place for prominent County Kerry poets O’Donoghue, O’Rathaille and O’Suilleabhain. 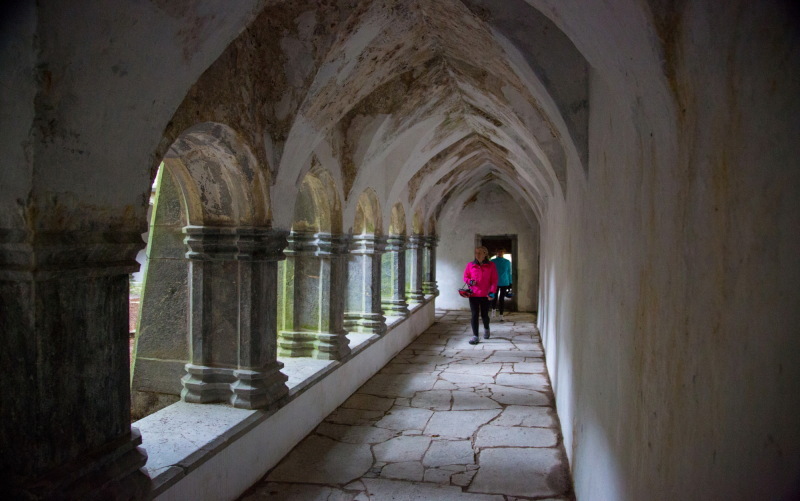 The Cloisters at Muckross Abbey, it’s very interesting to stroll around inside and outside the Abbey. 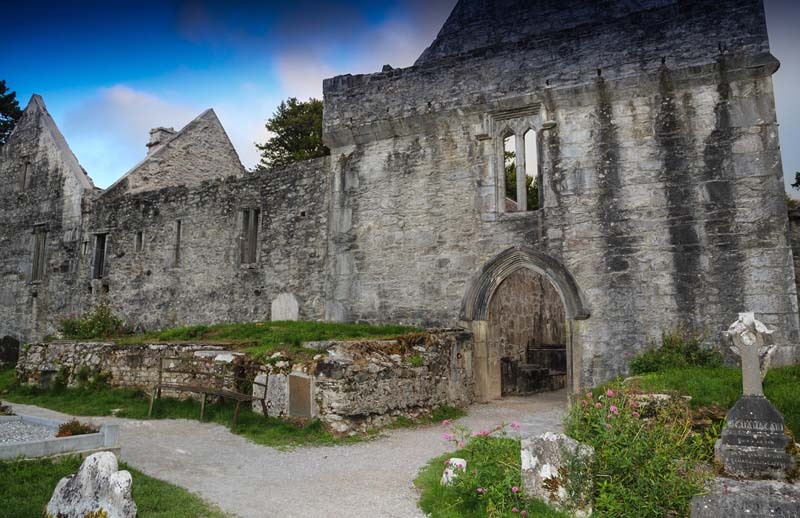 Cycling is an ideal way to get to Muckross Abbey Killarney heading from the Town pass the Lake Hotel using the Cycle path and not the main road and another 1.5 km you will see it on the left. 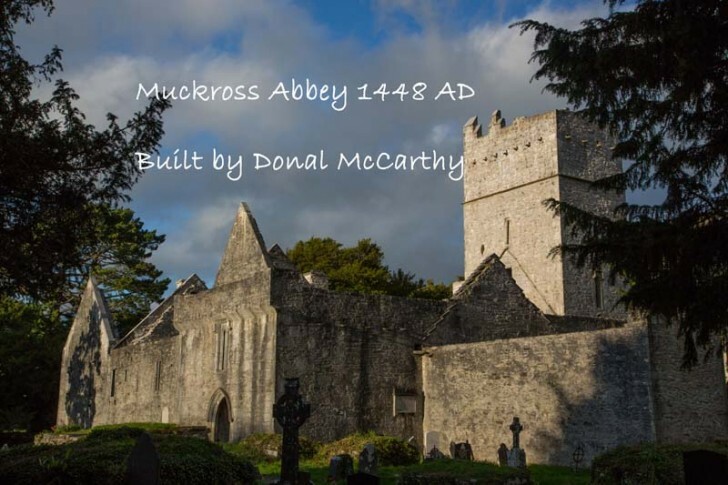 Not too far from Muckross Abbey Killarney, you have the Lake Hotel an ideal place to have lunch overlooking the McCarthy mor Castle the very Castle Donal McCarthy lived in the time of the building of Muckross Abbey.